Quick news link look at some of the top local stories related to crime, metro life upcoming attractions. 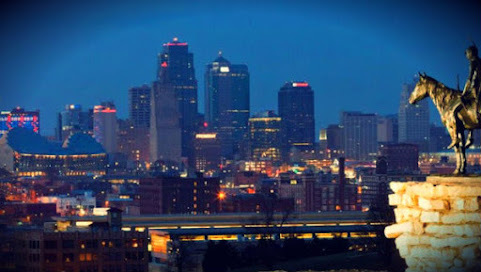 Kansas City was once considered the crossroads of the world, and has produced legends across the worlds of sports, food, art, politics and culture. It's fitting then, that Kansas City is the meeting point for four teams around the country, on the biggest stage in college basketball. LAWRENCE, Kan. (AP) - A judge has dismissed criminal charges against a former Lawrence police officer who shot a man last year as he attacked another officer. Douglas County District Court Judge Peggy Kittel on Wednesday ruled that evidence did not show probable cause that 36-year-old Brindley Blood acted recklessly during the May 2018 confrontation. KANSAS CITY, Mo. - A fourth teenager has been charged in connection with the shooting death of a Belton, Missouri, teen outside a Raytown pool hall earlier this month. Mackenzie Hyatt, 17, of Lee's Summit, Missouri, was charged Thursday with second-degree murder. An Overland Park weight-loss hospital that lost its Medicare certification last year remains in legal limbo. On Wednesday, a federal appeals court upheld on procedural grounds a lower court's dismissal of Blue Valley Hospital's lawsuit challenging the loss of its certification. Platte County residents on Tuesday will vote on a half-cent sales tax that would fund an expansion of the county's 180-bed jail. The tax would raise $65 million and run until 2025. The expansion would include about 200 additional beds as well as space for the prosecutor's office and an additional courtroom. An Olathe woman who was found guilty of severely injuring an infant being cared for at her home day care has been sentenced to more than seven years in prison, according to Johnson County District Court records. KANSAS CITY, Mo. -- It was a heart-wrenching tragedy that stunned witnesses, police and especially the family of Jayden Courtney. The 3-year-old died last week after he was hit by a utility truck in downtown Kansas City. His family still can't believe he's gone. "Jayden was a fun, happy-go-lucky kid who loved smiling. JEFFERSON CITY, Mo. (AP) - Missouri senators have passed legislation to make it harder to impeach top officials less than a year after the former governor resigned while facing potential impeachment. Senators passed the proposed constitutional amendment 25-8 Friday. The measure would abolish the grounds for which House members had been weighing whether to impeach former Republican Gov. KANSAS CITY, Mo. - Less than a day after a Commerce Bank branch in Roeland Park, Kansas, was robbed at gunpoint, federal prosecutors charged two men in connection to the heist. OLATHE, KS (KCTV) -- Justin Rey was vocal about his innocence from the moment he stepped into the courtroom Wednesday at the Johnson County Courthouse. He was there for sentencing but managed to have his case continued until next month. LEE'S SUMMIT, MO (KCTV) - A dog has died in a house fire in Lee's Summit. The fire happened on Thursday at 1:25 p.m. in the 4700 block of SW Leafwing Circle. The person living there said she had come home, opened the front door, and realized the house was full of smoke. We hope there's high-quality H20 at the Silverstein Eye Center Arena in Independence because Adam Sandler, the "The Waterboy" himself, is coming for a show this summer!Fresh off the release of his Netflix special "100% Fresh," Sandler is hitting the road for his "100% Fresher" summer tour.